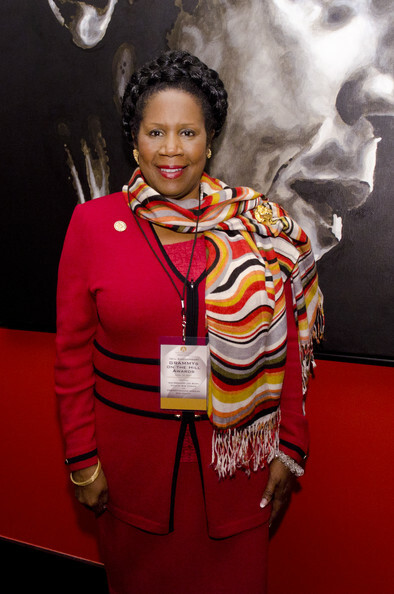 Congressman Sheila Jackson Lee has the seat [18th congressional district] once held in the United States Congress by the late brilliant Barbara Jordan. That is where the similarity ends. Barbara Jordan was an extraordinary speaker and expert of constitutional law and made not just every Houstonian, not just every Texan, but every American proud with her sparkling rhetoric. Republicans and Democrats alike knew she stood a cut above the average congressman. 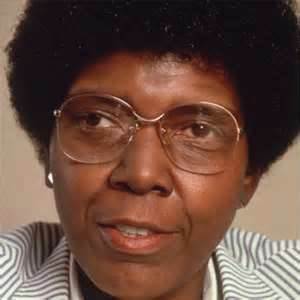 Barbara Jordan was like the old E.F. Hutton commercial, when she spoke people listened. And then there is the current congress lady from the 18th congressional district of Texas, Democrat Sheila Jackson Lee. Oh, a Houstonian like me. You might remember her during the health care debates at one of her town hall meetings when this elderly lady was asking her a question nicely, and Congressman Lee's cell phone rang. The thoughtful Congressman Lee turned away from her fellow citizen to answer her "important" call as the lady kept asking the question. You might remember Representative SJ Lee, when the Mars "pathfinder" was taking awesome pictures from Mars, she asked the NASA employee if they would show the pictures of the American flag our astronauts planted there. You might remember Sheila Jackson Lee, opining in July of 2010 that "Today, we have two Vietnams, side by side, North and South, exchanging and working." You might remember in January of 2011, Congressman Lee on the house floor stating that repealing Obamacare would result in Americans losing their constitutional rights [of the 4th and 15th Amendments] and repealing Obamacare would also mean "killing Americans." Yes, all of these somewhat curious statements and more have been made by the congress lady who you would not want to get between her and a camera if you value your life. If you forgot what she looks like, just wait until the next presidential State of the Union speech-she will be the first one you see on the camera. And now today, Wednesday, Representative Lee has come up with an idea on how to respond to the heart breaking inhumane shootings that took place at Sandy Hook Elementary School in Connecticut. "I would personally just say to those who are listening, maybe you want to turn in your guns," Jackson Lee said on the House floor. "Oh no, I'm not going to take your guns..."
It will be fun to see how many movie stars ask their body guards to turn in their guns. When that happens is when I will take Representative Sheila Jackson Lee seriously. Yes, when Barbara Jordan spoke people listened. When Sheila Jackson Lee speaks, a lot of people scratch their heads. You are being kind big mike--- yes when Jordan spoke, all listened, but whe Lee speaks, nauseating sickness embraces all who are so unfortunate as to have to hear her words! I love your way of words big Brad!!! Amen. Great MB! My condolences on having her as a Texas Rep.
Not much makes sense anymore. I suppose there is some sort of mind altering something in the kool aid the Houston folk in voting for the goober. Sad thing is, she would enslave the blacks again. Thanks for your comments as always Austin.